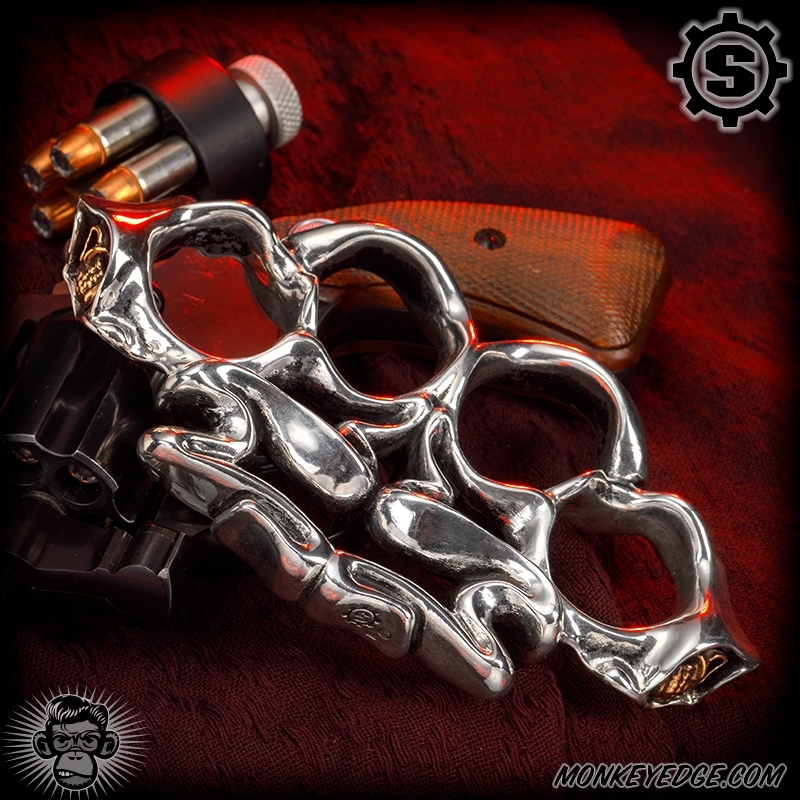 There is cool, then there is full-on Starlingear sterling silver Reaper Knuckle cool!! 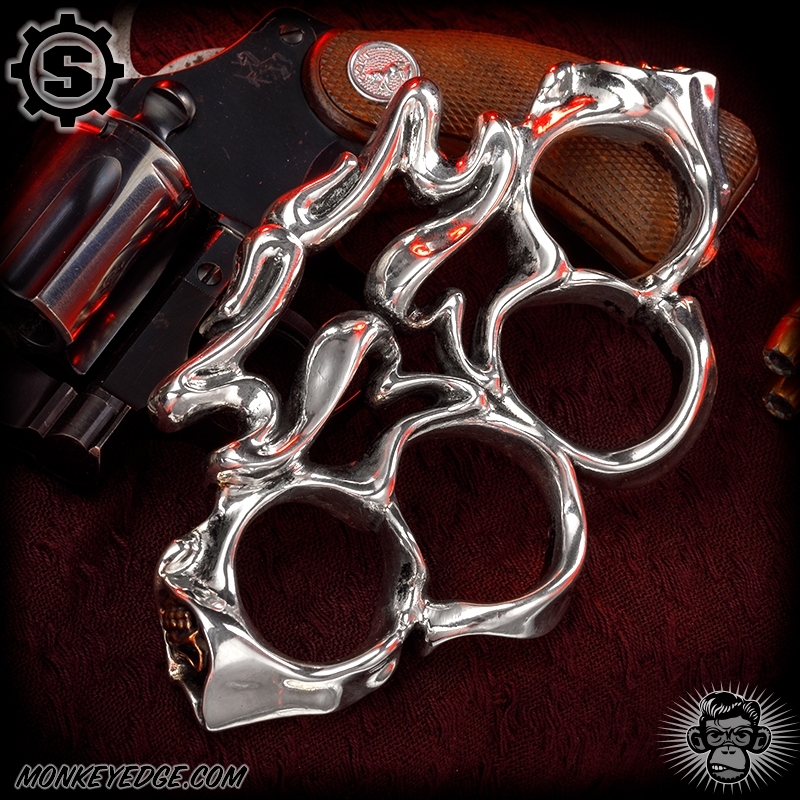 VERY rarely has Starlingear made the full sized Knuckles, and this is the one and only three-part Reaper Knuckles ever made! The cast sterling silver body is the same incredible design we have drooled over on the pendants and key hangers for years, but full sized and big enough for the largest mitts. Instead of being cast into the design, this one features separate copper Reapers soldered into the ends. 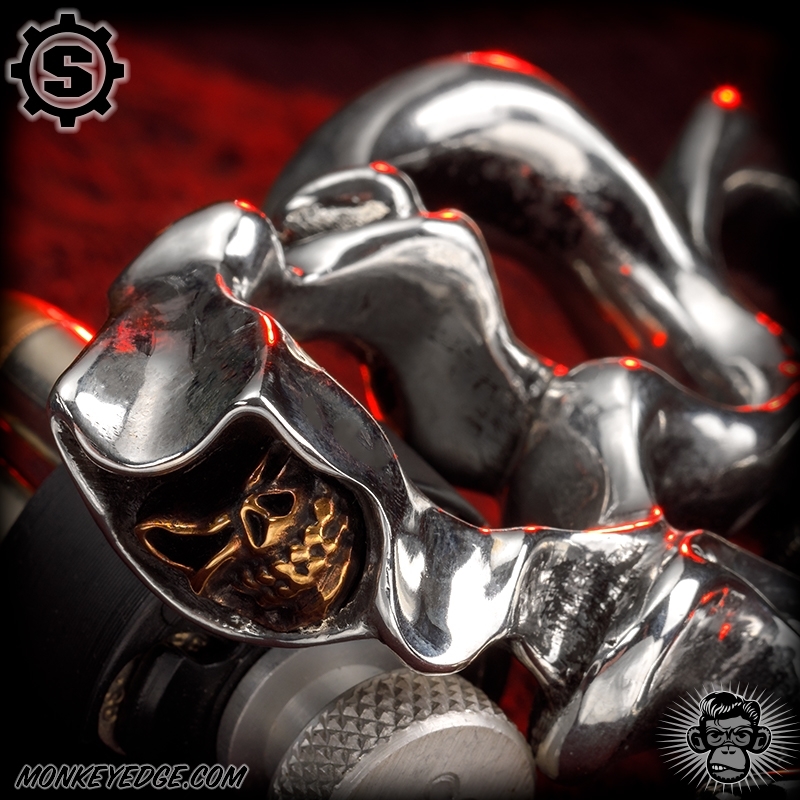 Weighing in at over a pound, and finished with the level of detail you'd expect from Starlingear. Starlingear history has been made right here, folks! Due to the value of this piece, payment and shipping arrangements will need to be made on an individual basis. Please click the link above to contact us.